The hosts put up a top-class bowling effort yet again after winning the toss, limiting KKR to 108 for nine despite an unbeaten 50 off 44 balls from the dangerous Andre Russell. With the dew making batting easier in the second half of the match, CSK chased down a rather comfortable target in 17.2 overs. 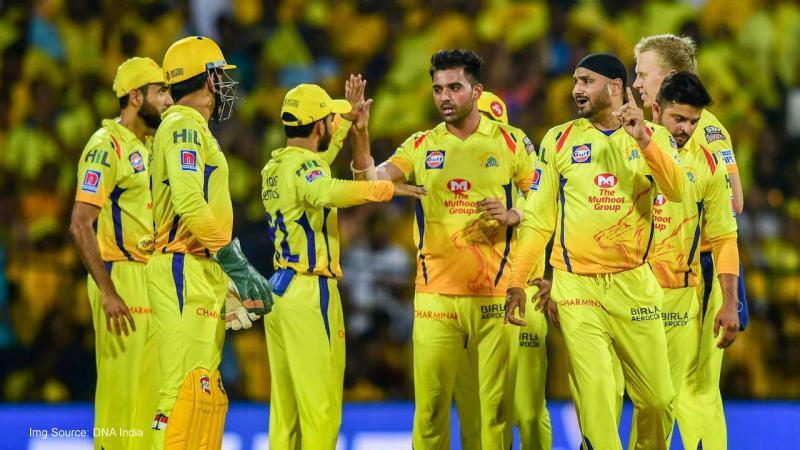 With an emphatic win, CSK are back at the top of the table with five victories from six games while KKR suffered their second loss in six matches and will be hoping that Tuesday's performance was just a blip in otherwise a promising campaign so far. Shane Watson (17 off 9) smashed two fours and a six early on in the run chase before falling to a soft dismissal off spinner Sunil Narine. Suresh Raina (14) too did not cash in on the opportunity to make a big score and perished in an attempt to hit Narine out of the park, leaving CSK at 35 for two in five overs. Since the asking rate was not an issue, Faf du Plessis (43 not out off 45) and Ambati Rayudu (21) went about their job with little difficulty. The South African, who scored 54 in his first game of the season here on Saturday, played another solid innings to take the team home. Earlier, a lot depended on the in-form Russell after a poor show from the KKR batting unit. He played the only way he knows, going for big shots, and succeeded to a certain extent to finish with five fours and three sixes. The under-rated Deepak Chahar, who returned with impressive figures of three for 20 from four overs, rattled the KKR top-order with early strikes, including that of the big-hitting Chris Lynn as the visitors struggled to 29 for four in the powerplay. Harbhajan Singh (2/15), Imran Tahir (2/21) and Ravindra Jadeja (1/17) put the brakes on the KKR batting with a disciplined effort. KKR were under pressure from the word go as Lynn and Sunil Narine fell within the space of five balls. First, Chahar trapped Lynn leg-before wicket for a duck in the first over, as the Aussie missed a pull off a delivery that kept low. In the next over, Harbhajan tossed one up to Narine, who attempted a big shot, only to skew it to the point region where Chahar took a good catch running backwards. Nitish Rana (0) became Chahar's second victim, taken smartly by Rayudu. Robin Uthappa (11, 9 balls, 2X4) played a couple of good shots, before perishing to a pull which landed in the safe hands of Kedar Jadhav at deep-square leg. A lot was expected of skipper Dinesh Karthik but he flattered to deceive, hammering a shot off Tahir straight into the hands of Harbhajan at mid-wicket, to be dismissed for 19 to leave KKR in trouble at 44 for five. That KKR's 50 came up only in the 12th over, indicating how much their batsmen struggled to come to grips with the surface at Chepauk.